A psychologically safe workplace is one where employees feel safe to take risks and to be who they are as individuals. When employees believe they can take interpersonal risks, it results in a win for the organization and it is a win for the employee. When employees feel psychologically safe they are engaged in their work. They are also more dedicated. This means they get more done and enjoy what they do. When employees do not feel psychologically safe, they do not know how to conduct themselves on the job. They are reluctant to bring problems to light, ask questions or share their work experience or opinions. This uncertainty makes it hard to give their best. The main driver of a psychologically safe workplace is behavior that supports risk taking. For example, when workplace behavior is negative and inconsistent, employees don’t feel comfortable risking self-disclosure or plunging ahead on projects that could result in failure. Instead, fear surfaces. When fear surfaces, cooperation halts. Employees feel defensive or move to protect themselves. Creativity plunges because fear restricts creative thinking. Problems get swept under the rug to come back and bite you later because no one wants negative repercussions. Workplace drama and conflict increase as fault is projected away from personal accountability. The willingness to be genuine and empathetic falls because employees keep their heads down just to get through the day. This means that forward momentum s-l-o-w-s. So what contributes to the development of a psychologically safe workplace and can this be measured? TIGERS approach to building a psychologically safe workplace. In 1987, I asked a question. That question was, “What is necessary to develop an ethical, quality-focused, productive, cooperative and happy work group or organization?” I studied all the research available in Education, Psychology and Business. Out of this study six principles emerged. They are trust, interdependence, genuineness, empathy, risk and success. They form the acronym, TIGERS®. Not only could each of the six principles be measured, they illuminated the problem(s) in group behavior either by their level of development or omission. 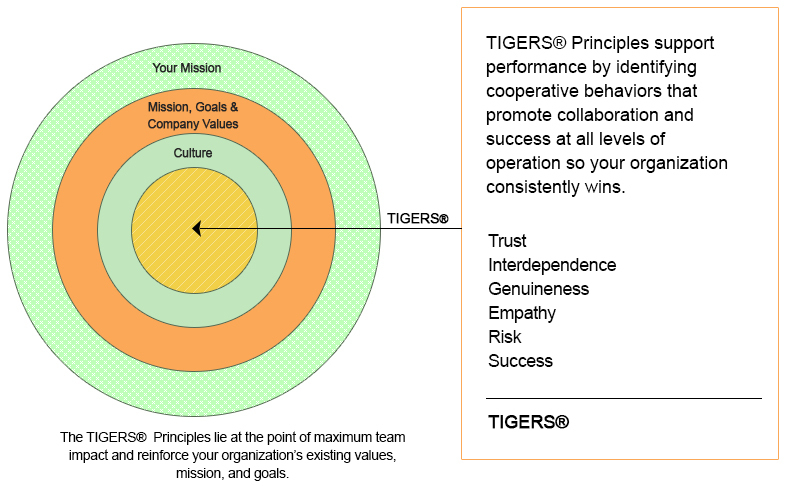 The TIGERS 6 Principles™ also prescribe what workforce development attention and training is required to transform an adequate work group into one that was exceptional. This means that a psychologically safe workplace can be measured. It also means that the return on investment for soft and hard skill training that helps people be more trustworthy, cooperative, genuine, empathetic, risk resolving and successful is also measurable against cost savings and productivity improvements in an organization’s bottom line. The Harvard Business Review asserts that being open and paving the way for candor is a key way to developing a psychologically safe workplace. However, this is a zero sum effort unless behaviors that support trust, interdependence, genuineness, empathy, risk resolution and success are also measurably present. If any of the six principles are weak, it also means that employees must be open to learning and improving themselves. Group behavior norms that support risk taking are best developed from the bottom up to transform a fear-based organization into a psychologically safe workplace. This can be done through consultants but optimally through skilled managers. When you build behavioral group norms from the bottom up, employees describe the behaviors they require to sustain trust, interdependence, genuineness, empathy, risk resolution and success among themselves and leaders. This makes it easy for managers to tend these agreements and to interview new job candidates for team fit. When group norms are used in the onboarding process, new employees learn ways to successfully interact with co-workers. They learn behavior expectations that give them self-confidence on how to engage with co-workers and assimilate into their new roles. It also helps them build positive work relationships. When new employees aren’t sure what behaviors are expected, they hesitate. Their past experience with psychologically unsafe organizations makes them cautious. They do not want to cause problems that could result in conflict. Nor do they want their good intentions to be misunderstood. When organizations fail to utilize structured group norms for new employees during the onboarding process, it can be expected that 33 percent of new hires will be looking for a new job within six months. This is how long it takes for behavior conflict to fester. Additionally, the median cost of turnover for positions that require specific skills is 21 percent of the departing employee’s salary. Organizations that practice group norm recruitment with group norm behavior onboarding, on the other hand, saw a positive return on the new employee’s salary of $6,044- $11,799. This was due to improved productivity. Your Manager’s communication skills determine a psychologically safe workplace. Managers are critical for building a psychologically safe workplace. They ensure there’s a shared understanding of goals and how these goals support the organization. They also reinforce positive group norms of behavior that support organizational roles, goals and relationships. According to data from organizational behavior expert Jeffrey Pfeffer, modern work practices are turning into death traps. The modern workplace has become the fifth biggest cause of death in the United States. Employees are working longer hours and more days, resulting in high stress work conditions complicated by lack of psychologically safety. Therefore, focusing on correcting trust, interdependence, genuineness, empathy, risk resolution and success problems that produce stress, fear and unhappiness is the first step in transforming and unhealthy organization into a psychologically safe workplace. Once group norms of behavior that support a psychologically safe workplace are developed, they can be made sustainable. This is done through group norm recruitment, onboarding for behavior expectations and properly training managers to be good communicators that proactively assimilate new employees onto existing teams. Care to dig deeper into a psychologically safe workplace? Simple ways to improve onboarding for increased retention. 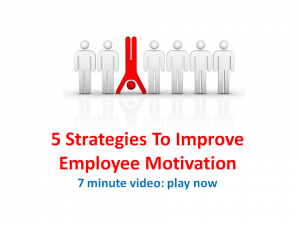 A winning corporate culture builds employee retention. We specialize in training your managers in group facilitation methods that build workforce cooperation and high performance team dynamics. Scaled to grow as your organization and leadership performance grows, our proprietary Team Behavior Profile, Management training workshops, and coach/consultant licensing are based on the six principles we have found to be the right mix to make this happen.